Many motorists rely on GPS devices to tell them how to get where they’re going, but the mapping programs sometimes contain inaccurate or incomplete information. If a GPS device directs a motorist to a dangerous area because mistakes were made in the mapping software, they could get hurt or could hurt others. In such a situation, victims may wonder exactly who is to blame for what happened. GPS devices can help contribute to motor vehicle accidents in many different ways. Pedestrians getting walking directions from a GPS device could be directed to a high-risk area, like a highway. Motorists who are getting driving directions could be told to take roads that are one-way in the opposing direction, or could be told to drive on a road that abruptly ends or goes into water. Motorists could also be directed to areas where there are at-grade railroad tracks. These are particularly dangerous, with New York Times reporting around 200 annual fatalities happening at areas where there are railroad tracks on the same level as the ground. 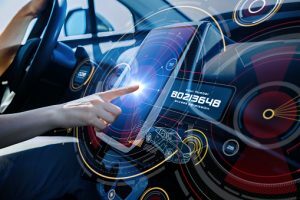 If a GPS device directs a motorist to a place that is not safe and an accident happens, injury victims may want to blame the GPS maker for this series of events. In one case, a pedestrian was led to a highway by the Google Maps app on her Blackberry. She was hit by a car and hurt, and she sued Google Maps. She lost the case, with the court holding in Rosenberg v. Harwood that Google didn’t have an obligation to her. The court also indicated it was reluctant to impose what would amount to virtually unlimited liability on Google. So, if the GPS maker is not responsible, who is? Generally, the driver. In its report on at-grade railroad tracks, the New York Times told the story of one of the fatal accidents that happened at one of these locations. The accident occurred when a tired driver followed GPS directions to an at-grade railroad crossing and proceeded to get his truck stuck on the railroad. The driver left his truck, where a commuter train approached and struck it. The resulting accident killed the train engineer along with 32 other people. The driver of the truck was charged with vehicular manslaughter. Regardless of what a GPS device says, a motorist still has an obligation to follow the rules of the road and to pay attention to what is going on around him. This includes looking for hazards that could result in accidents. It is not a defense for a driver who causes an accident to claim he had followed the instructions of GPS software. Drivers remain responsible for their own safe driving behavior and can be held accountable to victims if they cause accidents to happen.